here are the other two tags that I made to complete my homework for day three! The first tag is the archival resist technique. "The only colors that I own are pink and black". 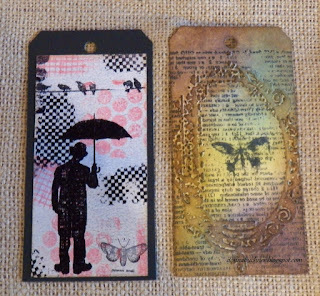 I then went over the tag using blue and brown distress ink. Both these techniques were new to me.